When Thanksgiving is over, I quickly tire of leftovers. The turkey sandwich works for about one day but I always feel as if I’m throwing away so many of the sides and not utilizing everything as best I could. This year I’ve decided to remedy that by making Turkey Soup from Thanksgiving leftovers. As you know I’m a big soup person. 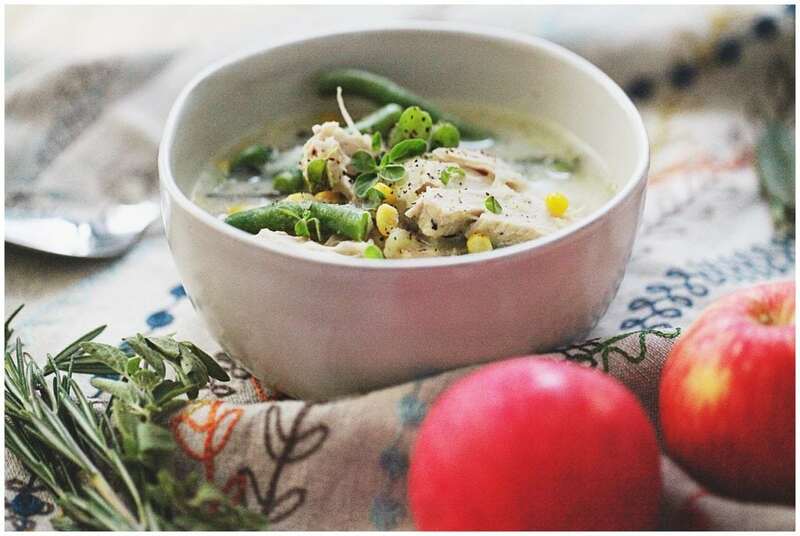 I love making soups because not only do they taste delicious, but they’re also easy, usually lower in calories and a great way to incorporate your daily dose of vegetables. The recipe I have below for this soup is more of a guide for you to follow. Your final taste will really depend on your turkey and mashed potatoes. Also, I cannot take all the credit for this idea. I saw a cooking show once (I don’t remember who’s) and she was making dinner on a Friday night from the week’s meatloaf leftovers. That was the inspiration for this recipe and my decision to turn Thanksgiving leftovers into this soup. Add chicken broth and diced onions to a large pot of Dutch oven and heat on low. Add dried herbs and continue to let it simmer for an hour. Add additional salt and pepper to taste now too. As a side note, since I did not wait until Thanksgiving to make this (so it could be done early for the blog) I made a large turkey breast in the slow cooker. I used the following dried herbs: basil, oregano, Italian seasoning, rosemary, garlic salt and pepper. I essentially made sure the top of my turkey breast was covered and cooked it with a cup of chicken broth. I also added a few sprigs of all the fresh herbs I mentioned above. We ate this for dinner one night with the mashed potatoes and then made the soup the next night. Happy eating, friends! I hope you have a wonderful Thanksgiving! If you still need some dessert ideas check out this Pumpkin Cake with Cream Cheese Frosting and this Ricotta & Pear Pie! I have to admit this is the first time I’ve even considered making soup from Thanksgiving leftovers, but what a genius idea! I pinned it for myself! Thanks for sharing the recipe! I can’t wait to try it! I’m not hosting Thanksgiving this year so I doubt I’ll have any leftover turkey. I’ll just have to go and grab one just to make this! A good answer to what to do with all the left-overs! This is a simple recipe and that’s a plus in my book! Oh wow what a great idea! It looks like the best way to relax the day after the big meal! It’s the perfect way to prepare and enjoy leftovers after Thanksgiving. It also perfect for the cold weather! This is such a wonderful idea! 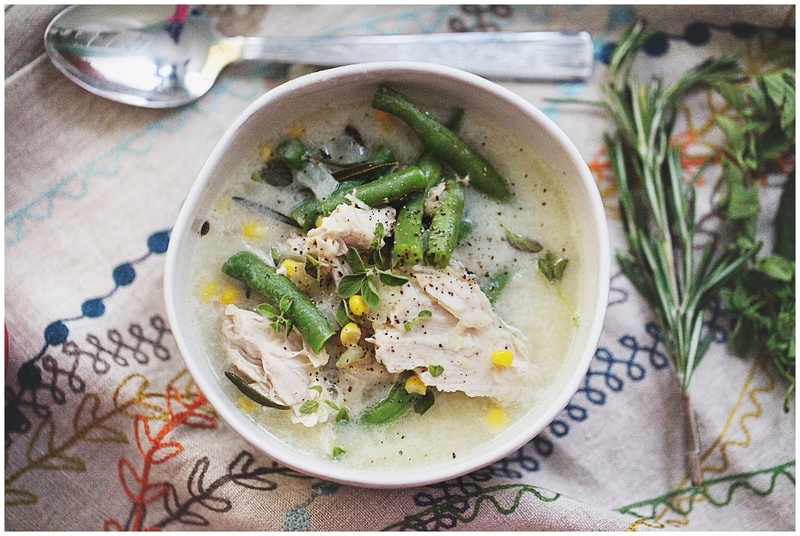 We always have a ton of leftovers, and I love the idea of making them into a soup! This soup looks so delicious. I am not cooking much this Thanksgiving, in fact, all I have to cook is turnip & collard green. The rest’s up to my in-laws lol well they volunteer. Saving and sharing this recipe of yours. The absolute perfect recipe for me to see today! Love the idea of a soup as a unique leftover idea! This is a great way to use Thanksgiving leftovers. I never mind the stuffing or sweet potatoes, but the turkey seems to dry out after a day or too. Putting in a soup would up the moisture and flavor content. Brilliant! 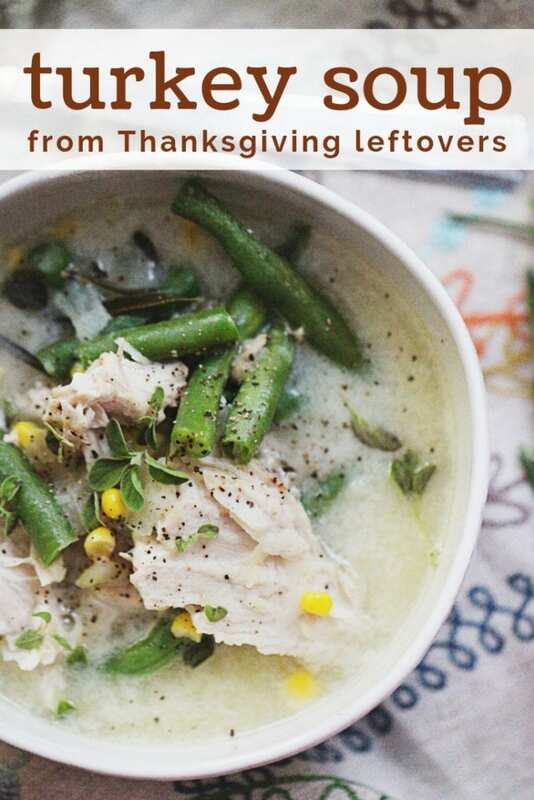 I have never even considered SOUP when figuring how to use Thanksgiving leftovers! We are making this right now! I love making soup out of leftovers! Yum! This is a great way to used leftover turkey. Hopefully, I’ll have some leftovers this year and can make this on Friday while I decorate all day. Since we overeat so much on Thanksgiving the next day is always more fun. This soup seems great and would be perfect with sandwichiches. Such a great idea! This is all the stuff we usually have leftover after Thanksgiving. Yum! I’m always looking for ways to use up leftover turkey or chicken. This is usually what we have leftover from Thanksgiving as well. Thanks for the idea! This recipe looks so savory! I’m always looking for new recipes to try with our turkey leftovers. That looks so good! My favorite part of Thanksgiving is the leftovers. I love making new recipes with them. I know we are going to have a bunch of turkey leftover this year. I can’t wait to make some warm soup!! This looks delicious! I often make soup with my Thanksgiving leftovers, but I never thought about putting in green beans or mashed potatoes. I’ll have to try this! Every year we are looking for new things to do with left overs. I love this idea! Pinning! I cannot wait to try this recipe. This is perfect to use leftover turkey. Pinning your recipe. Oh wow, this looks super easy and amazing!! I hate throwing out food so this will totally work!!! Now I won’t be apprehensive to take some leftover turkey home! This is a great looking recipe! This looks really good. I’m all about saving the leftovers and making something else. This will be a great one. I love this idea for using up leftovers, so hearty and satisfying! Why have we never thought to turn the leftovers into a soup. What a brilliant idea. I have gotten creative with thanksgiving leftovers before, but I’ve never made soup with them. It looks good. For years Ive been looking for ways to repurpose the thanksgiving turkey.This seems likea great recipe. Thank you! This soup looks absolutely delicious. I never thought of making a soup with the leftovers before. Can’t wait to try it. Such a great way to use up Thanksgiving leftovers! 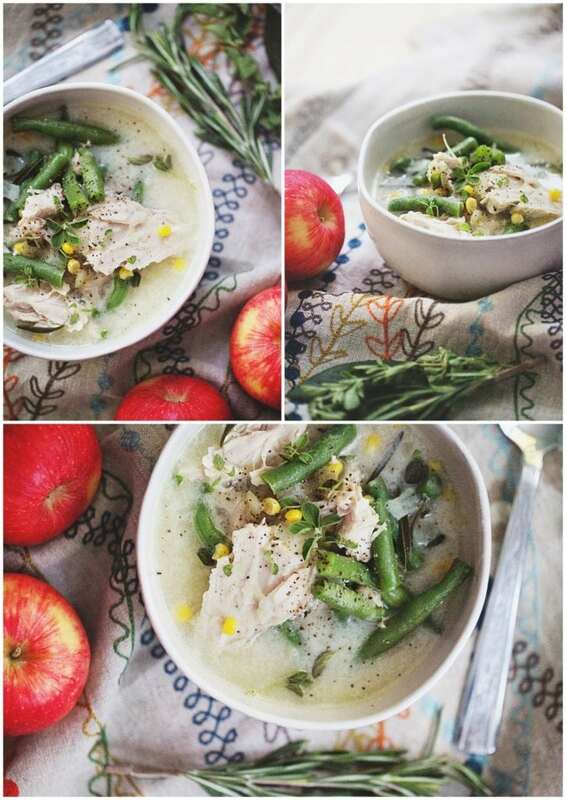 This is such an amazing way to use up Thanksgiving leftovers! This is such an amazing way to use up leftovers from Thanksgiving! This looks incredible! Every year we go to my in-laws for Thanksgiving and end up not bringing home any turkey leftovers. This year although we are headed there for the holiday, I’m cooking a turkey so my family can enjoy all the leftovers too! 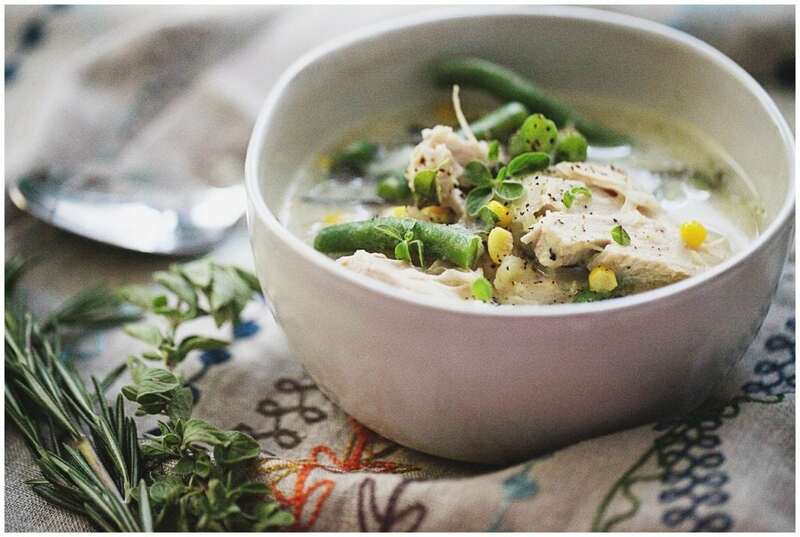 We usually end up giving away our leftovers, and our guests make soup with it. This year we will have to make some of our own soup. It’s perfect for those cold winter months, and nice to have leftovers to heat up instead of having to cook after a long day at work. This looks so delicious and perfect for a fall or winter meal. Bring on the turkey! I most definitively bookmarking this recipe. Each year we have plenty of left over food. Soup is my thing so this is really perfect. 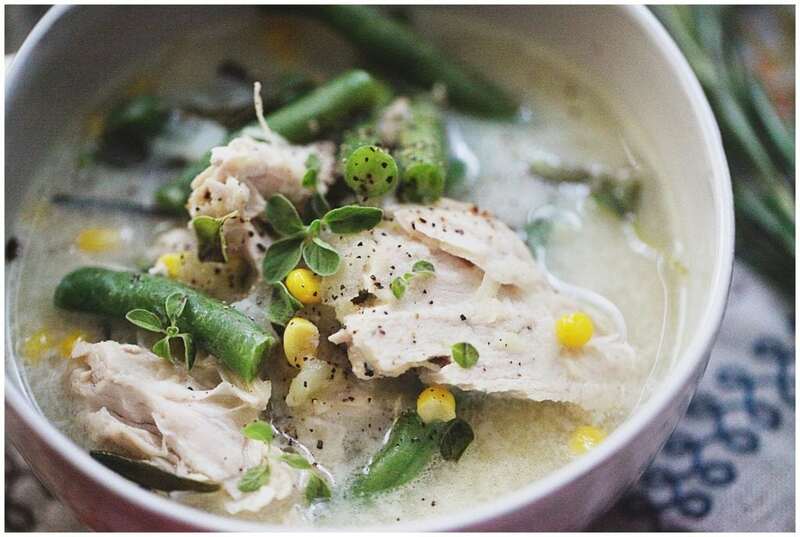 Leftover turkey and veggies makes for a great soup the next day. Your recipe sounds and looks hearty, I’d love to make it. I have cousins who are in the US and celebrating thanksgiving and this would be a great idea that I can share to them so that leftovers would not be wasted. Ohhh, yum! Such a great way to use leftover turkey. You really can’t go wrong. Thanks for the recipe! Oh this looks great! I am always looking for ways to use up left over turkey so this is definitely one to try! I will save this and see how I get on! What an awesome leftover recipe! Yum! I think turkey soup made from leftovers has been around for many years. Your recipe looks to be a cut above the rest! This is absolutely inspired! I am always sick of turkey sandwiches a few days after!